I'm guest blogging over at Or So She Says today! Also, I just had to show you this sweet bookshelf that my friend Martha passed on to me yesterday! It's perfect for my little ones' board books, and just look at the sweet Franklin artwork on it. great bookcase but it looks untouched by children's hands-too neat...lol! 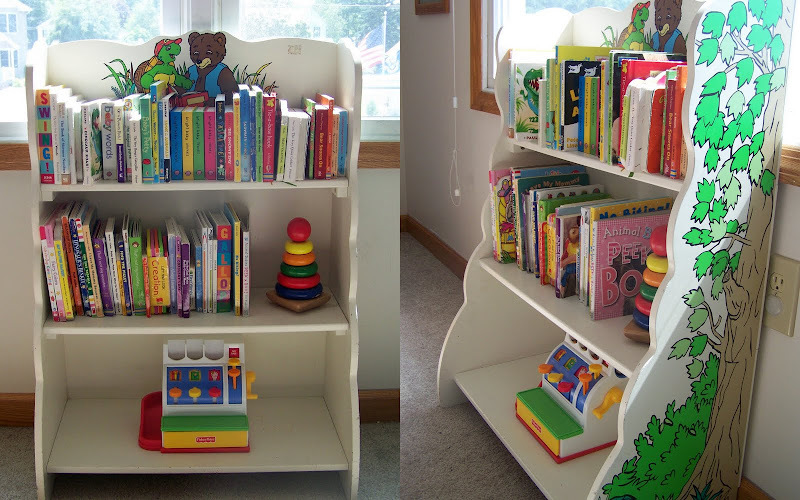 these book shelves are so cute...they will sure have lots of fun for many years to come. YEAH!!!!! I love these book shelves, I've been searching from a cute one for my kids room but I definitely love yourz!